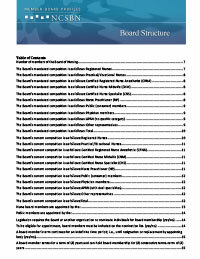 An online publication that provides an overview of the regulatory environment in which the 60 boards of nursing function. Visit the Nursing Research section to download various report sections. Updated annually.